more sophisticated commercial bins. No matter what kind of composter you choose for your garden and backyard, recycling your organic waste is essential for healthy soil and plants. 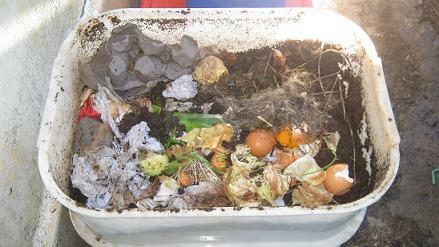 Traditionally people used to compost their garden and kitchen waste mostly on compost heaps. These heaps are just piles of organic waste that have been placed somewhere in the backyard or garden. There is generally nothing wrong with those heaps but they need to be set up and managed correctly to function well. To achieve fast results your pile will have to have a volume of at least 1 cubic meter / 35.31 cubic feet and needs to contain a well balanced mix of green and brown organic waste products. 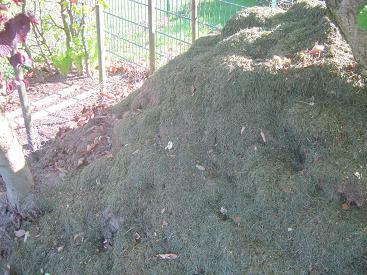 Green waste like grass, young weeds, tea bags, fruit- and vegetable peals, egg shells and manures are high in nitrogen. 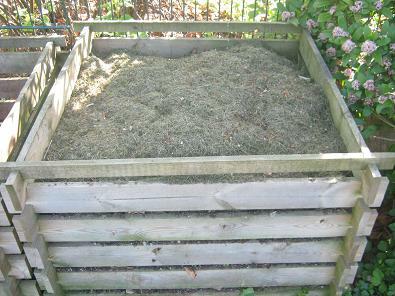 A simple compost heap containing mostly grass clippings and leaves. Brown waste like leaves, straw, pine needles, paper and cardboard are high in fiber. 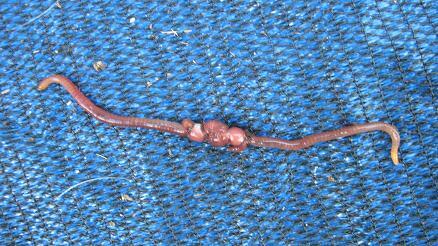 Those materials mixed with water will heat up and bacteria will start to rapidly decompose the organic waste materials. To process the waste materials quickly they need oxygen and the heap has to be turned every 4 to 5 days. If this is done correctly it is possible to get fully processed compost within 15 to 18 days. 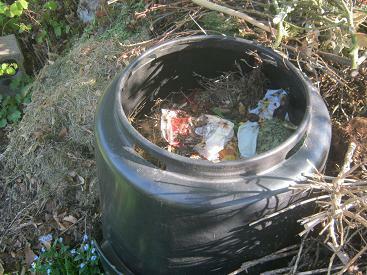 Many composters are made out of plastic. If you are not in a rush you can just add your waste materials to the top of your bin or heap and just wait for the materials to break down slowly. This can take up to 2 years which is longer than many people are prepared to wait. Those bins come in many shapes and sizes from wooden square bins, to wire mesh cylinders and a large variety of commercial plastic models. If you are prepared to invest a fair amount of money and want an easy way to turn your green and brown waste than you should consider purchasing a tumbler. This is a kind of composter that enables you to easily turn your organic materials inside a closed composter. You can find lots of pictures of different tumblers on the internet. 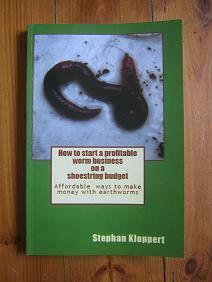 Another way of composting that gains more and more popularity is worm composting. 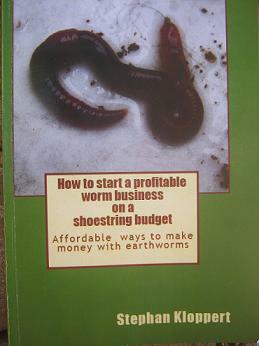 It is a very simple and easy way to convert kitchen- and garden waste with the help of earth worms into nutrient rich plant food and soil conditioner. amounts of organic waste without any human help or interference. 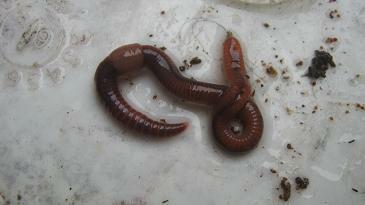 The worms multiply continuously and can live in virtually any plastic or wooden container to do their recycling job. one method that recycles organic waste anaerobically. The process is called Bokashi composting and originated in Japan. No matter which way you want to go, composting your organic waste is allways beneficial for the environment and your garden! 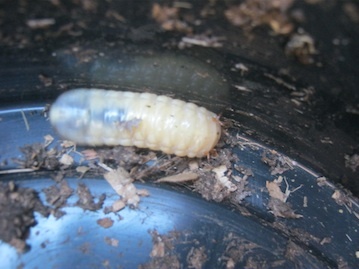 Return from "Composters" to the "Home page"